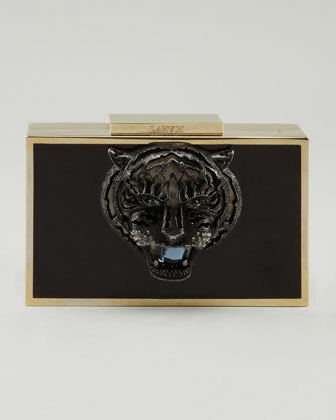 It's Friday and everyone at work should take a break and peruse Bergdorf's website and just look at this Enamel Tiger Box Clutch by Lanvin. Really? It's so amazingly beautiful, classic, and is perfect for that hot night out on the town. 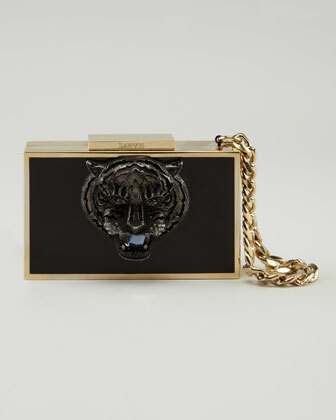 The tiger face on the front of this clutch is embellished with crystals and there's a detachable chain wristlet - depending on your bag carrying mood.